All knowledge is worth having, but for a Jedi, it is not only worthwhile, it is vital to have as much knowledge as possible. Knowing not only the specifics of a situation you are helping with, but the emotional, political, and even historical context can provide clarity of thought and tools to solve today’s problems. This election cycle and the beginning of a new presidency in the US has taken a toll on most of us. As Jedi we strive for calm minds and to inculcate peace and justice around us, so when there is that much turmoil in the air, regardless of your views, it’s exhausting. No wonder so many of us are tempted to bail, to ignore politics, news, and current events, to retreat into a place of comfort and lack of conflict. But as Jedi, we cannot do so for long. We need to take care of ourselves, carefully cultivate gentleness and find a way to preserve our energies and renew them consistently, but we cannot actively cultivate ignorance of our times by ignoring what is going on in our world. So, here are some tips on keeping up with events without getting burnt out! Fact-check your news: Did you read on Facebook that Climate Change info is now missing from whitehouse.gov? Don’t take their word for it, go check! This level of fact checking is easy to follow up with on your own, and you can get the real info before deciding on how you feel about that. For more complex issues, find several sites you trust (I suggest one mainstream news source, at least one source you agree with and trust (that isn’t a fake news site or punditry), and one international source) and compare their takes on the issue. At minimum you can get pretty reliable facts on what happened, and begin to draw your own conclusions based on something a little more believable. 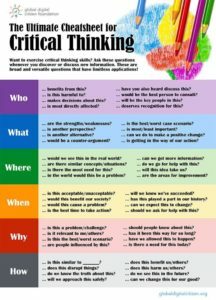 Think Critically: When you encounter a piece of information, start asking questions. Who is saying this? Where did they get their information from? Why do they think this way? Who benefits from this? What biases and ideas of mine might be interfering with how I understand this information? When you dig in to information, analyze it’s separate parts, and ask questions of yourselves and others in the spirit of honest dialog, you gain a deeper understanding of the subject. Have someone do the finding for you: Whether its an article round-up of links to news of the week, or an email newsletter that delivers articles and news right to your inbox every day, this helps you spend less time catching up, and makes that time more productive so you can get back to other things like work, Jedi projects, or even down-time. Your feed/dashboard on Facebook, Twitter, or tumblr are not good subsitutes for this. Although your friends might share good quality links and ideas, don’t get sucked in to the endless scrolling news source that is facebook/twitter/tumblr. Set timers if you find you have trouble stopping so you don’t end up spending all your time and emotional resources on this one thing. If your willpower is not doing the trick, consider installing software like StayFocused to cut yourself off from sites that are draining your time and energy after a certain amount of time. Do something for you every single day: Self care isn’t just about warm baths, good books, and warm fuzzy feels; it’s also all those things that may not be fun but are good for you. Make sure you’re doing a little bit of both each day. Read a chapter of a good fun book, then remember to drink more water. Go the gym, then put your feet up and cuddle your pets. Have a lovely conversation with a friend online or off, then go do your dishes. If you need reminders, a lot of those habit-building apps can be very useful. I’ve been using Habitica which ‘gamifies’ the habits I’m trying to build, and I look forward every day to checking off different boxes as I get things done. Meditation: its what we do: As Jedi, meditation (however works best for you) is one of our greatest tools in following the Jedi Code. It allows us to process and learn from our emotions (Emotion yet Peace), think about and analyze information from our day (Ignorance yet Knowledge), calm our busy minds, tense muscles, and nervous nervous systems (Passion yet Serenity), bring some order to all of the different kinds of data we collect as we go about our lives (Chaos yet Harmony), and feel rooted into our reality while connecting back in to the world around us (Death yet the Force). If you’re not meditating regularly (ideally every day, hopefully a couple times a week), try and incorporate that. Even if its just taking a few seconds to close our eyes and breathe deeply, that’s excellent progress.